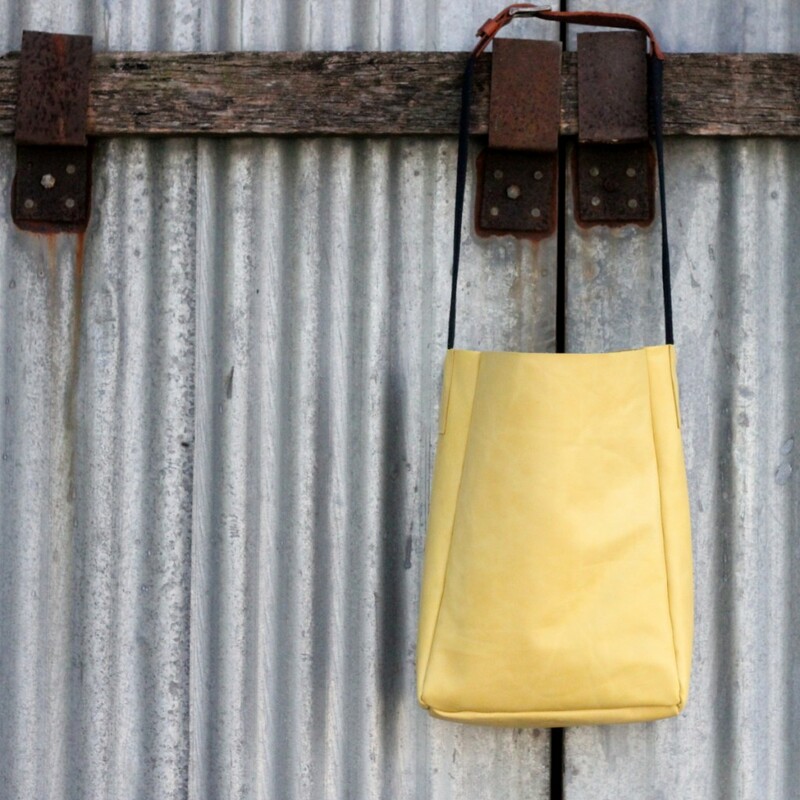 Unlined leather totes are already on the easy end of the sewing spectrum. 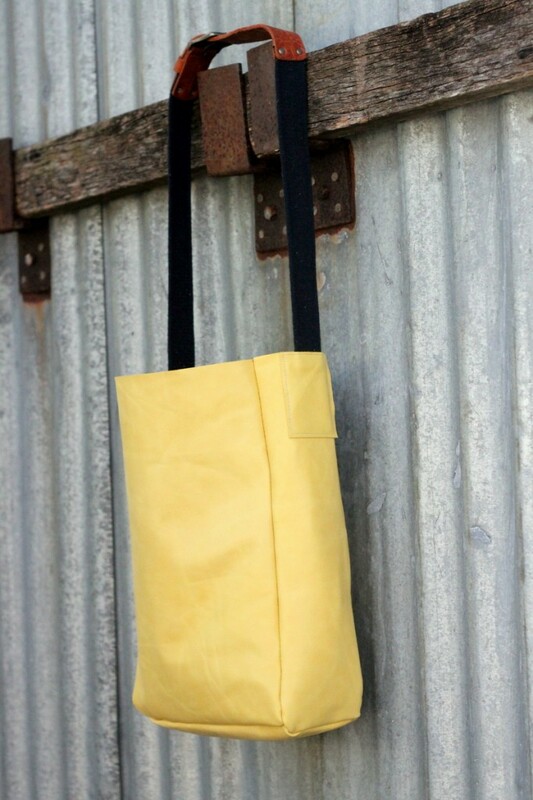 Add a belt as the handle and this project becomes the easiest sew ever. 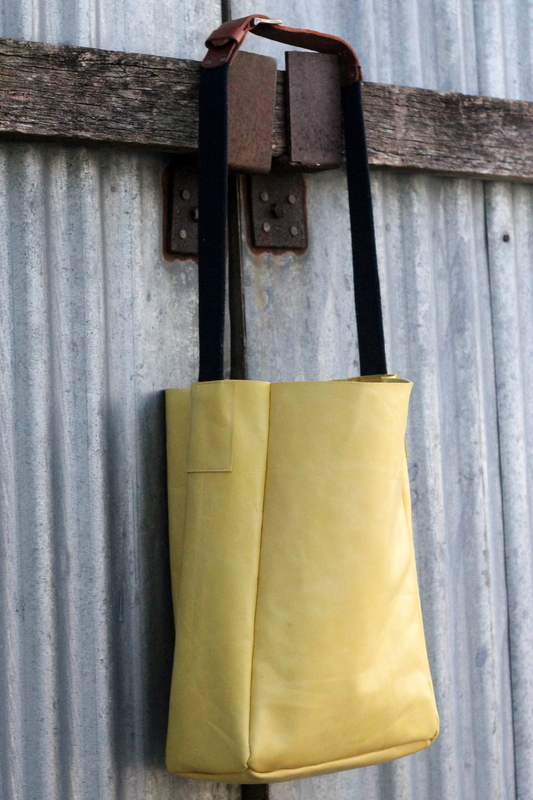 I can’t really think of someone who doesn’t need one of these leather totes as a present. Seriously. No one. Cut a belt in half. Sew the belt halves onto the center top edge of the side panels. Sew rectangles of leather to cover the belt on each panel. Placing the wrong sides together, sew each side panel to a main panel, making a bottomless box. Leave 1/2″ empty at the bottom of each line of stitching. With the tote inside out, match up the bottom piece with each side of the bottomless box (right sides facing each other). When the corners are matched up, sew around the perimeter of the bottom of the tote. Done! 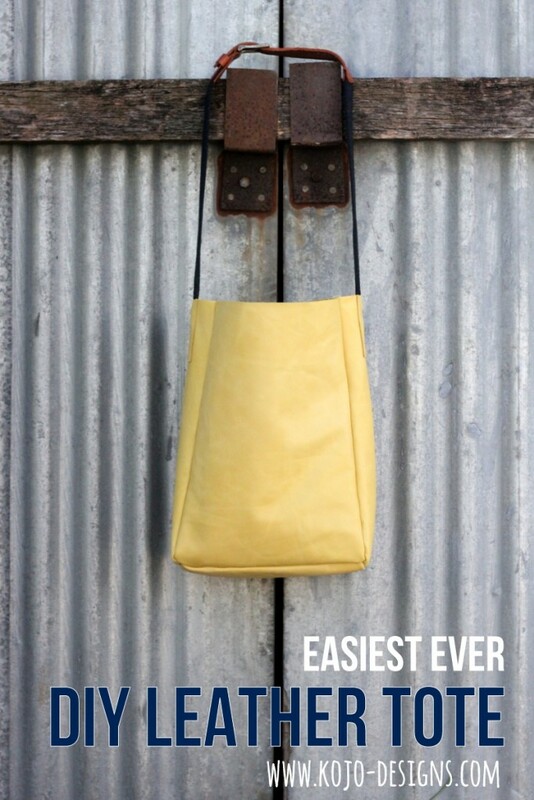 Truly, the easiest ever leather tote. 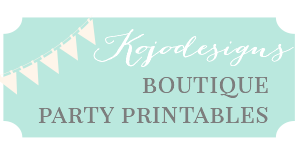 what needle/thread/foot do you use? when u used a heavy duty needle and upholstry thread it still didnt work…. but i read somewhere you need a teflon foot? Yes I would definitely suggest a Teflon foot if you’re going to be sewing a lot of leather otherwise you should be fine with a piece of invisible sticky tape under your usual foot. Good luck! 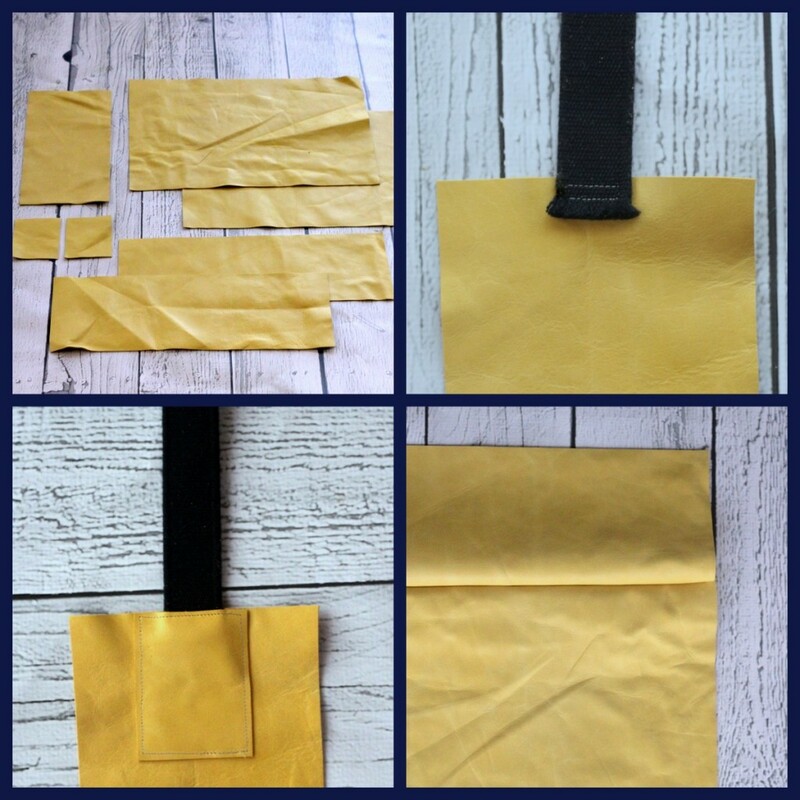 What thickness is best to make your leather tote? Hey Arlene, I haven’t ever ordered leather based on thickness, so I don’t know what to recommend. I will say, I ordered this from the Leather Hide Store and it seemed to be a standard weight/thickness. Sorry that’s not more helpful!